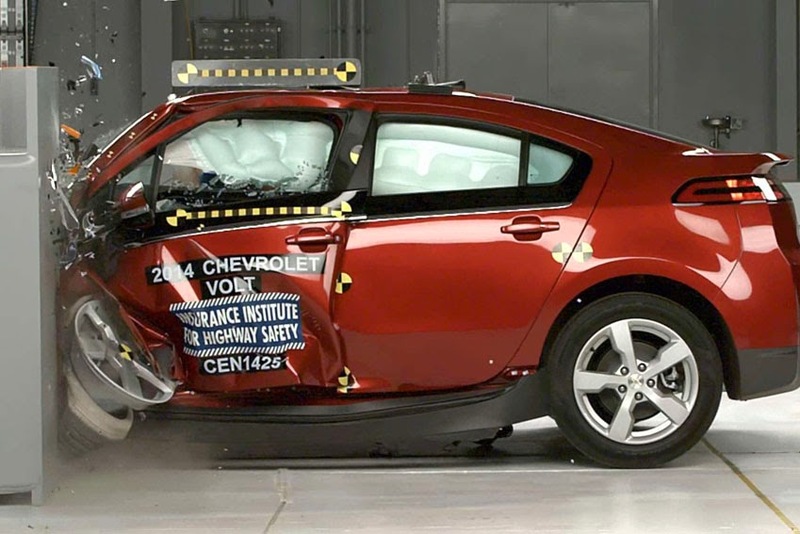 "The Volt's crash worthiness performance puts it in the top tier for small car safety," said Joe Nolan, IIHS Senior Vice-President for Vehicle Research. "GM should be commended for the Volt's performance in the small overlap front test because this car was designed before that challenging test was introduced." The Volt earned a 'good' rating - the highest the IIHS awards in its tests - in four of the six categories monitored during the small overlap front test. In the Structure category and the Restraints & Kinematics category, the Volt earned an 'acceptable' rating. Altogether, the scores gave the Volt an overall acceptable rating in the test. "These outstanding results demonstrate our commitment to the highest levels of safety performance in our vehicles," said Jeff Boyer, Vice-President, GM Global Vehicle Safety. "Achieving the IIHS Top Safety Pick + is a key endorsement which is valued by our customers."